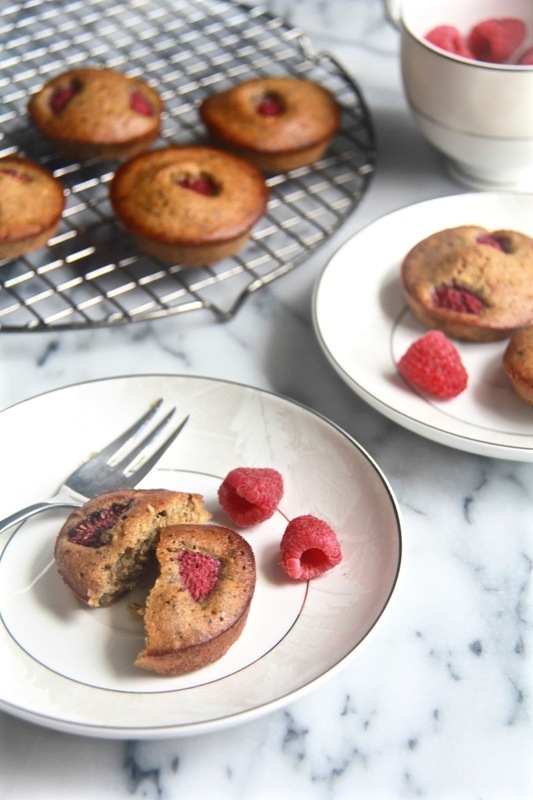 Crumbs and Cookies: pistachio and raspberry financiers. Now that winter is almost upon us, and that I've adopted the boring habit of going on and on about the weather (which is piercingly icy right now by the way - I swear Tokyo's temperatures fluctuate more wildly than the most dramatic of mood swings), it occurred to me that it would soon be the time for making and breaking new year resolutions. And one that I've already decided on and will make sure to keep is to recreate an Alice in the Wonderland-esque tea party. There will be a couple of cake stands, teacups with floral imprints and their matching saucers and maybe some uncoordinated, silver teaspoons with butterfly-shaped ends, elegant serving platters, a petite picnic basket for holding five types of jams and a vase of flowers because why the heck not. 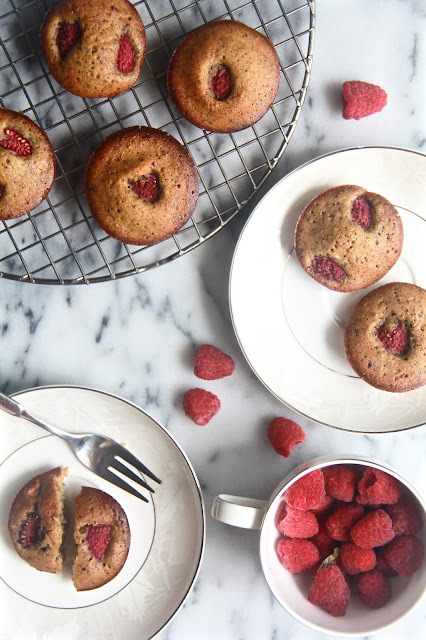 And there will be scones - maybe earl gray or green tea - and a layered cake piled with berries, sides unfrosted but with fresh whipped cream peeking out, chocolate cupcakes with pastel pink strawberry frosting and perhaps these pistachio financiers too. Put the butter in a small saucepan and cook over medium heat until it melts and only just begins to take on a pale golden colour. Pour the butter into a small measuring cup with a spout and set aside. Put the pistachios and sugar in a food processor and pulse until the nuts are ground. Don't overdo it - it's better to have a chunk here and there than to end up with nuts paste. Add the flour, salt and matcha, if you're using it, and whir to blend. Transfer the mixture to a medium bowl. Fill each muffin cup to the halfway point with chilled batter. (Return any remaining batter to the refrigerator until you're ready to make the next batch.) 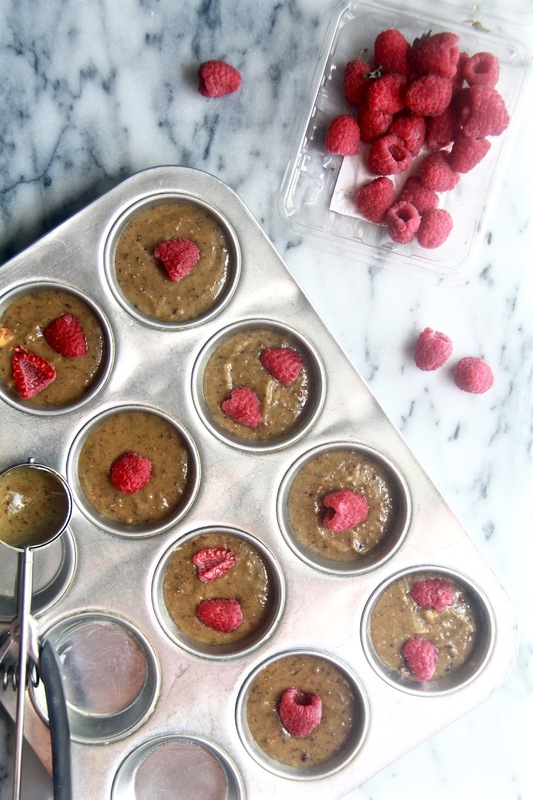 Place 1 raspberry in the center of each cup. Bake the financiers for 24 to 28 minutes, rotating the pan(s) at the midway point, or until they start to come away from the sides of the molds. 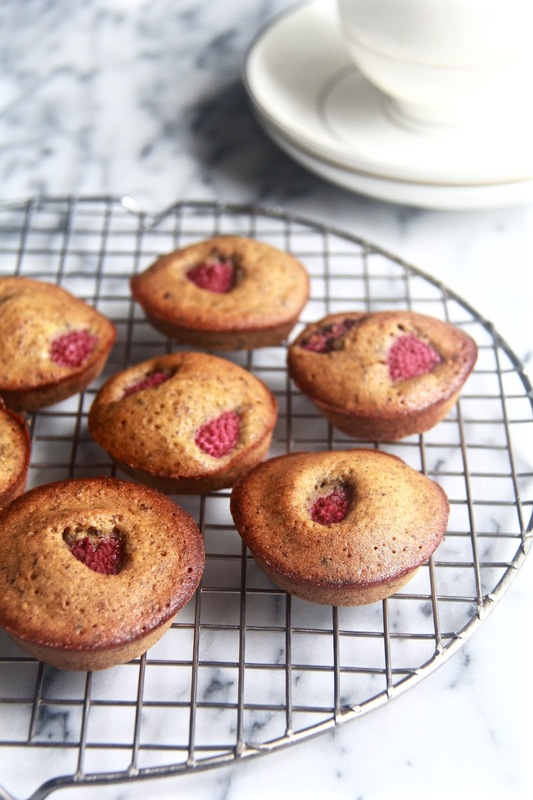 Their tops should be springy to the touch and a toothpick inserted into center of a financier should come out clean. Run a table knife around the edges of the cookies to detach them from the pan, then unmold them onto a rack. Turn them right side up to cool to room temperature. Repeat with the remaining batter, if necessary, making certain that the pan is cool.